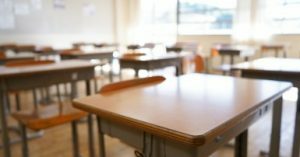 SASKATOON: Saskatoon Public Schools are facing an increasingly dire situation in the wake of the Sask Party budget cuts. Despite an increase of 511 students this school year and the opening of four new schools, the school division had its budget cut by over $11 million. This meant cutting staff instead of increasing staff to meet increased demands. Since the Saskatchewan Party’s March budget, 10 full-time equivalent permanent Educational Assistants, 11.9 full-time equivalent permanent Secretaries, and 1.5 full-time equivalent permanent Library Technician positions have been cut by the Saskatoon Public School Division. 29 temporary Educational Assistant contracts have not been renewed. With the introduction of four new P3 schools, and no increase in funding to staff the maintenance of the facilities, Saskatoon Public Schools introduced split shifts at 13 of its schools to make up for the staffing shortfall. Students, teachers and in-school administration are now required to attend to the needs of these buildings while staff aren’t on shift. CUPE represents over 7,000 workers in the K-12 school system and over 30,000 workers province wide.